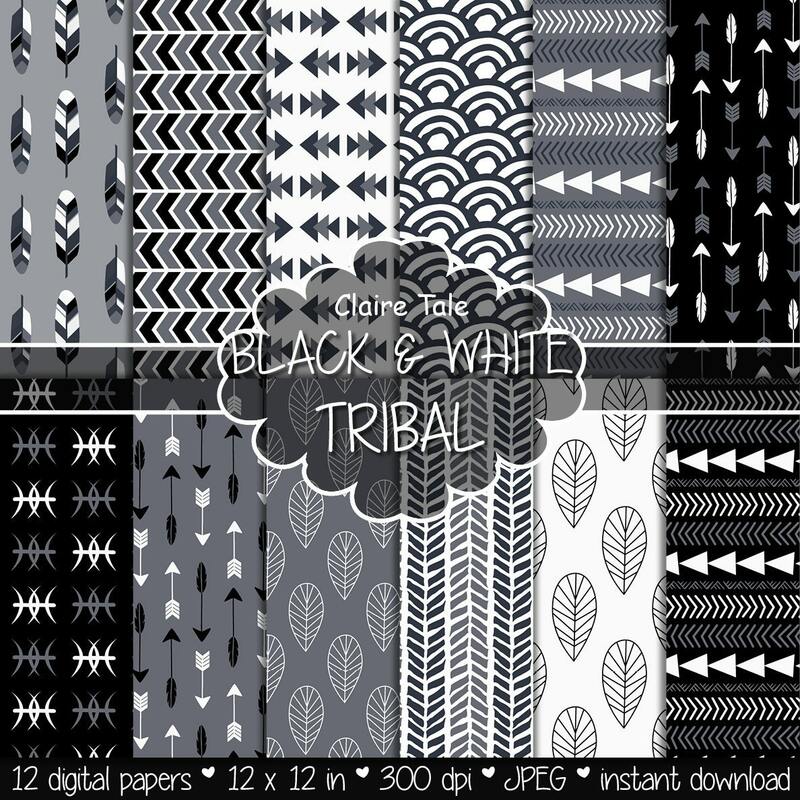 12 tribal digital papers: "BLACK & WHITE TRIBAL" with tribal patterns and tribal backgrounds, arrows, feathers, leaves in black and white. Perfect for scrapbooking, invitations, announcements, anniversaries, birthdays, party themes, stationary and paper crafts. Ready for immediate print and digital use. Lovely images that are versatile!